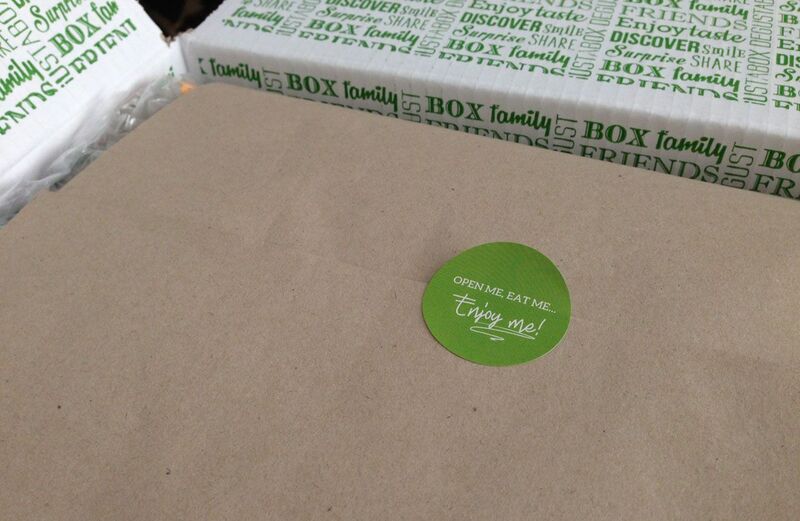 My march food delivery box from Degustabox arrived last Wednesday and having had time to try all of the goodies I can now tell you my thoughts on the food and drinks that came in this months food box. 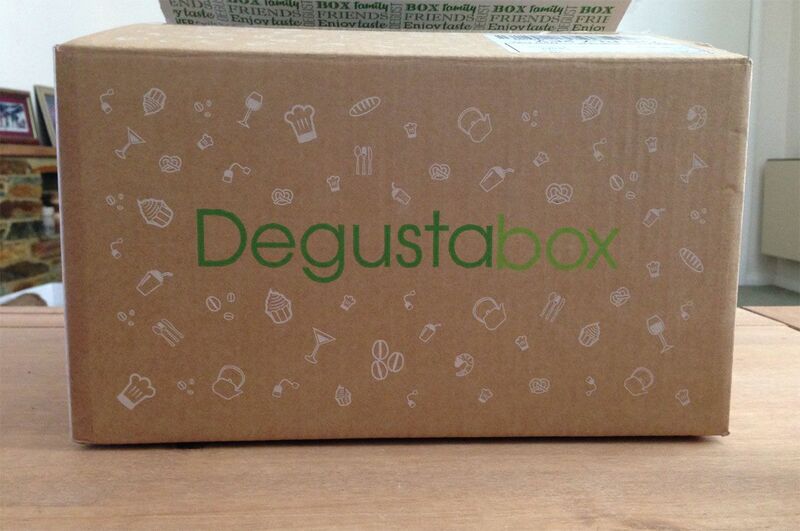 Degustabox is still only £9.99 a month plus £3 delivery and as with every box i've received I think this is a great collection of products for that amount. Even without opening this big bag of nachos I knew i'd love this product. Who can't love any food that says 'legendary' on the packaging?! I've actually been making a lot of chilli recently so these were definitely needed for my cupboard and went perfectly with some chilli, jalepenos, homemade guacamole, salsa and sour cream - delicious. I've never been a fan of salted popcorn, the idea of it is strange and I still don't get it but now i'm sold on salted and sweet popcorn! 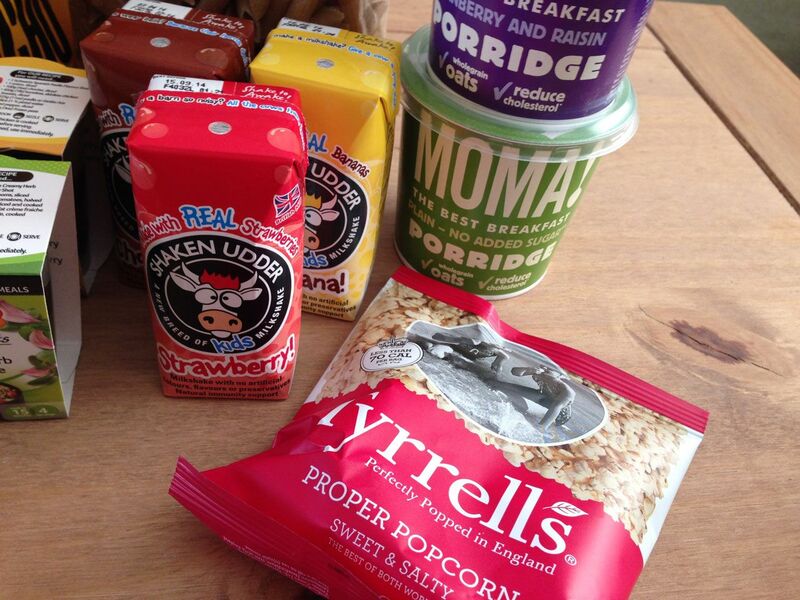 Each bag is only 70 calories, tastes great and is definitely a suitable replacement to crisps in your packed lunch box. Cranberry and raisin porridge sounded very different and the sceptic in me took hold but actually, it was really nice! I'd definitely buy this porridge pot again which is surprising seeing how I haven't liked any pots of easy porridge on the go that I've tried. When buying a milkshake I tend to opt for strawberry nesquik and one of the strawberry or chocolate frij flavours. It's nice to try new brands, even if they are for kids :) These cute little cartons are perfect for even my packed lunch, they taste really good and Shaun enjoyed the banana flavour so much he wanted more. When I saw the advert for the flavour shots prior to receiving them in my box I ditched them off as lazy cooking and perfect for students and to be honest I am still of that opinion. 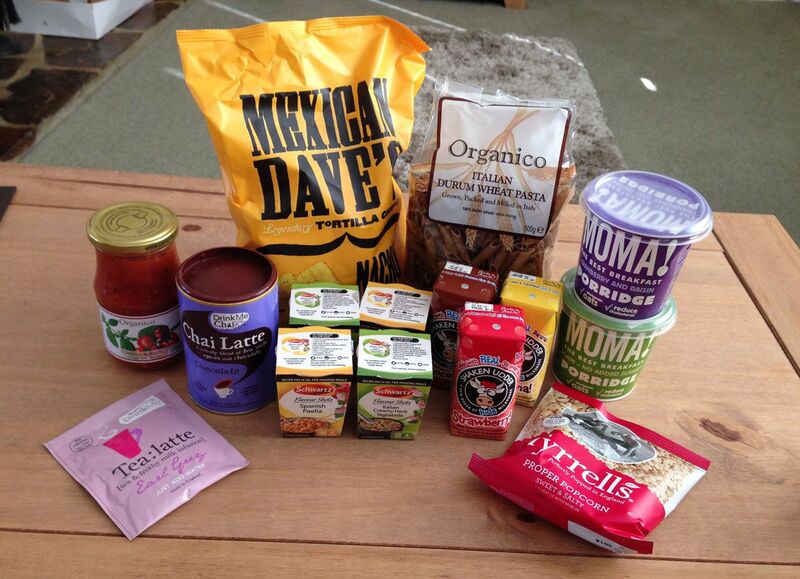 However for the more unusual dishes that you are less likely to eat regularly they are pretty perfect to pick up. 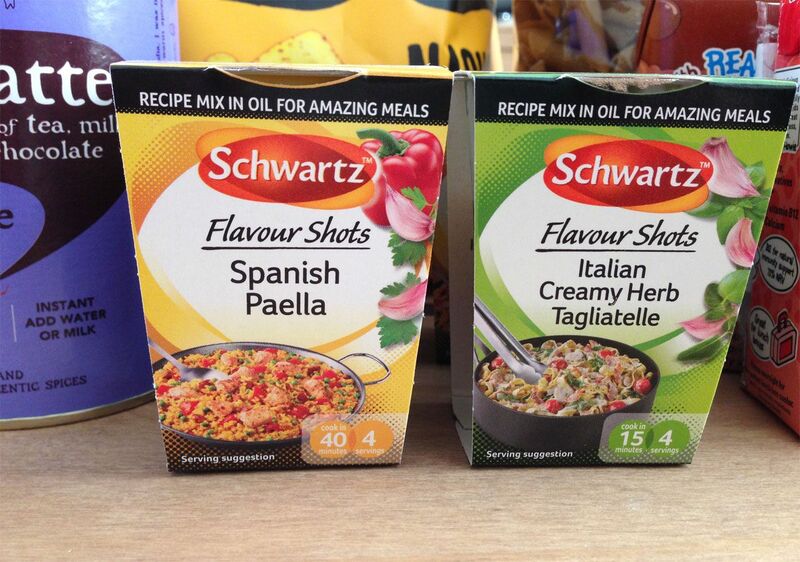 Paella is not something I had ever cooked until receiving these shots and although we enjoyed it, we probably won't have it again for a while but when we do i'll definitely use one of these little oil and flavour recipe mix shots. Oh the other good thing is that they have recipes on the packaging, kind of fool proof really. 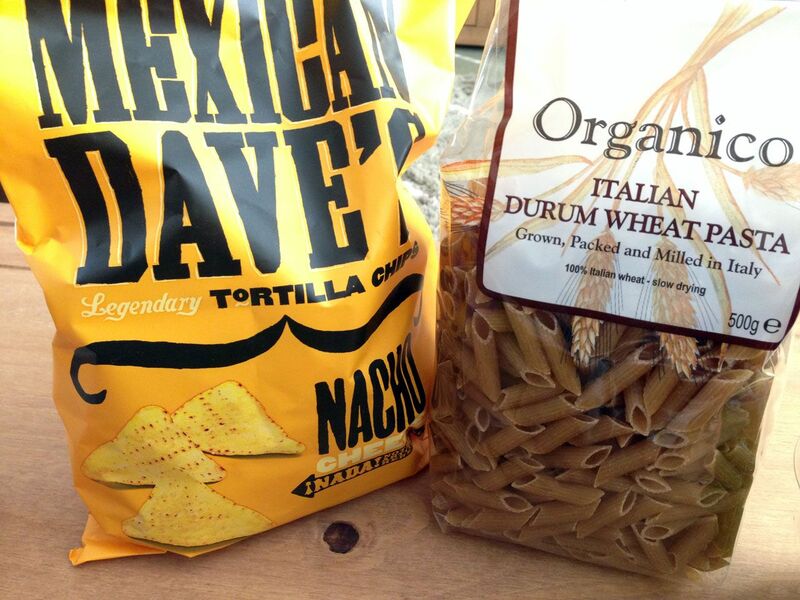 Having never tried brown pasta before I was pretty excited to find a bag of italian durum wheat pasta in the box this month. Sad maybe and I probably should have got more exited about the milkshakes than some pasta but never mind. Spaghetti bolognese was the first proper meal that I learnt to cook and I learnt to do so from scratch, not using a jar of sauce so the concept of tomato sauce in a jar is quite alien to me. In saying that, we did enjoy our spaghetti and meatballs with a twist this week and it was just as yummy and cooked a few minutes quicker. I still enjoy a cup of the chai latte that I received in a previous Degustabox so assumed that i'd like this one too and I don't not like it but i'm still trying to adjust to the taste to be honest as it's a little odd. I handed this little sachet over to a colleague to try because as a person who is not a fan of earl grey I thought it would be better to option give it to somebody who drinks it daily. After having the drink he explained how was a bit of a strange experience, earl grey is usually drank with lemon or a splash of milk so the idea of a frothy top latte earl grey was bizarre and actually didn't come to fruition. 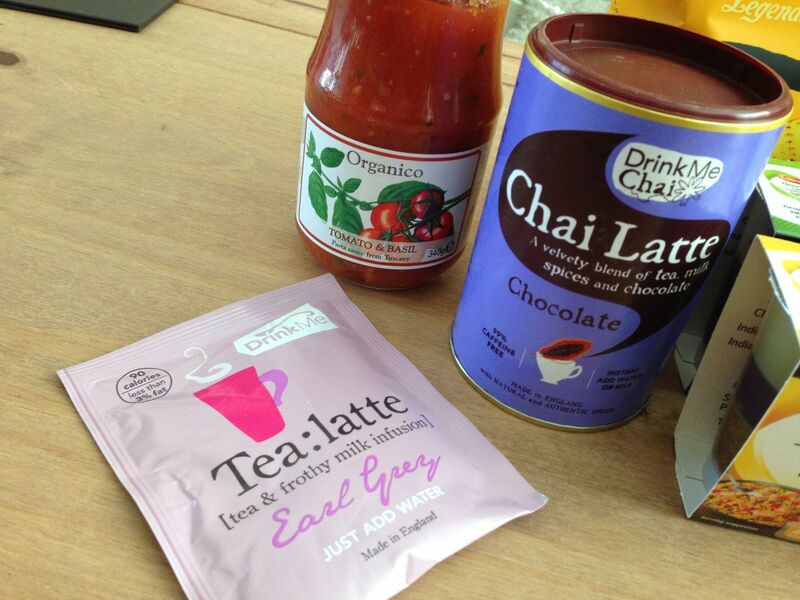 As with the other Drink Me Chai products, a frothy top is promised and did not deliver, the powder also clumped a little and took some time to settle. He definitely struggled to get his taste buds around this drink and wouldn't have it again because in his words - it's as though somebody has dipped an earl grey tea bag in a watery hot chocolate.